Customers of water supplier Essex & Suffolk Water can now prioritise water leak repairs far easier than before, thanks to the launch of a new online portal that allows them to report leaks and track their repairs, part of plans to reduce leakage across the network by 17.5 per cent in the next couple of years. There’s an interactive map that shows reported leaks across the network and it can be used to find out if a leak has already been reported, as well as checking on the progress of repair. When reporting incidents, customers are able to describe the type of leak and upload photos so it can be identified and prioritised. Commenting on the news, water director for the company Eliane Algaard said: “We are firmly committed to driving down leakage across our network and have set ourselves an ambitious target of reducing it by 17.5 per cent by 2025. “The portal includes lots of other information as to what happens once leaks are reported and what you should do if you discover a leak in your own supply. Here at H2O Building Services, we only carry out quality repairs on leaks – repairs that will last. If we detect an issue on your premises, we will work out the most cost-effective and least intrusive way of carrying out a long-lasting repair, rather than a patch-up job that will ultimately result in more disruption and expense to you later down the line. We also make sure that the rest of your site is watertight and will even pursue refunds on your behalf for waste water costs that were incurred because of a leak. Don’t forget that water leaks can prove very costly indeed, potentially wasting thousands of pounds – because they’re often very hard to deal with. 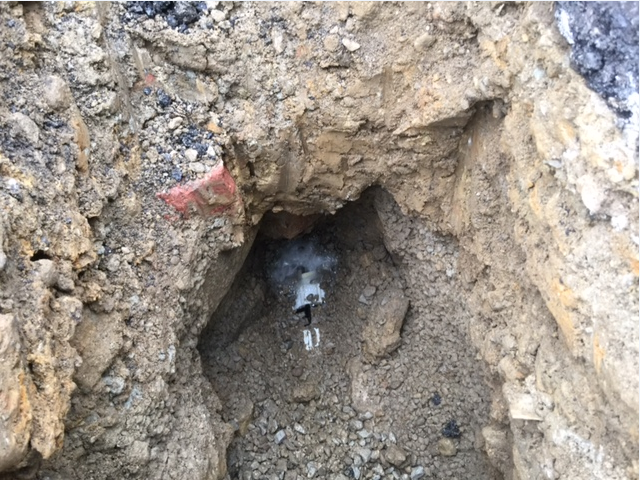 If you have a leak underground, for example, this will require very precise detection and an excavation to reach the leak before repairs can be carried out. We have more than 30 years’ experience in water engineering services here at H2O Building Services so if it’s peace of mind you’re looking for that the repair process will be managed quickly, cleanly and highly professional, you’ve certainly come to the right place. We typically carry out a water audit before investigating suspected leaks, analysing your water bills over the last year or more to look for spikes in usage and management charges. This helps us tell if there is a leak on your site, as well as how severe it may be. To find out more, get in touch with us today.